Paradise Ciders is a prime example of what you can do with a dream, opportunity, and a lot of hard work. The cidery is the first in the state of Hawaii. 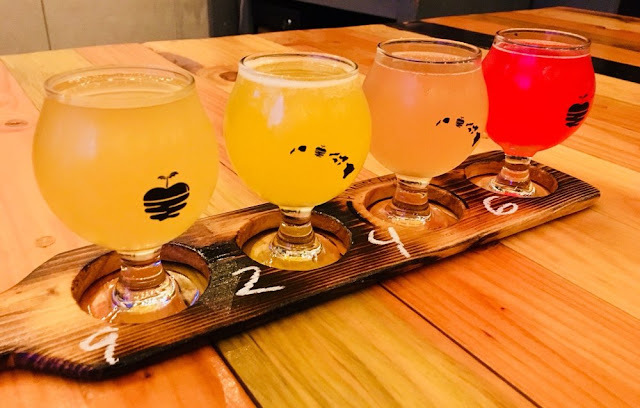 Located in Kalihi, it's certainly off the beaten path, but well worth the trip for any fan of locally brewed alcoholic fruit cider. 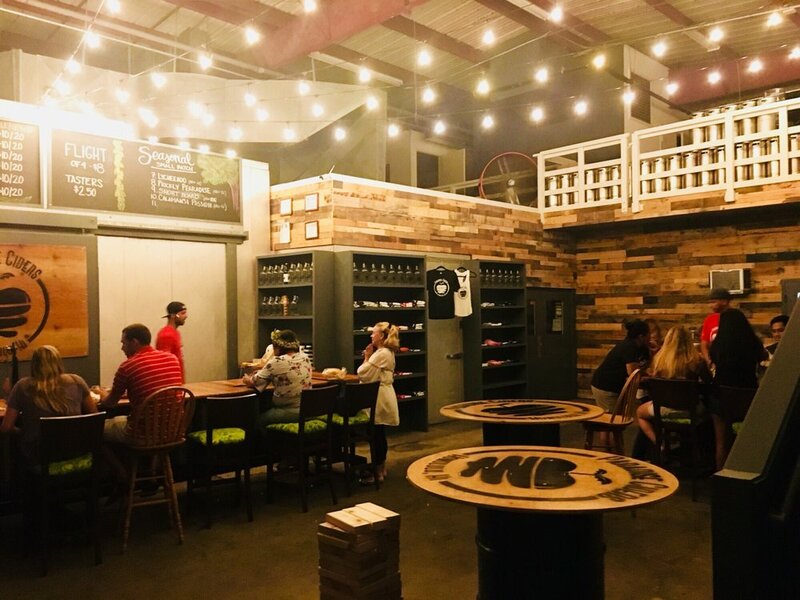 Paradise just recently opened a taproom, where you can taste all their offerings right at the source. It's bring-your-own-food, but they plan to add their own offerings in the future. They have a few parking stalls out front, otherwise street parking is free in the neighborhood. Two former Yard House bartenders, Shaun Peck and Kasey Sulheim noticed there was no local cidery, so they filled the niche and have since been selling kegs to many local restaurants and bars as an alternative to beer (cider is much sweeter and less bitter). All their ciders are apple juice based with other local fruit adjuncts added. Guava, pear, mango, calamansi, and many others make a wide array of colors and flavors to try. At the taproom, you can order ciders to taste, either $2.50 for a single glass, or $8 for a flight of 4. Every detail has been thought of, including marking the flight trays with what you're drinking, purse/bag hooks under the bar, super clean restrooms, comfortable seating, and games. 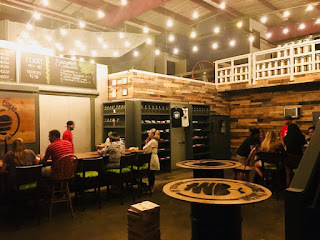 Impressively, everything here was homemade by the owners: wood walls are reclaimed shipping pallets, the dart board backing is wine corks, and bar stools were broken ones from Yard House recovered to contrast their decor. Cozy lighting really adds to the ambiance. Their pride and enthusiasm are infectious, be sure to ask questions and talk story! The logo design is perfect and is seen on everything from the glasses and growlers, to bottle labels, and even on the tables. They've created a unique local brand. 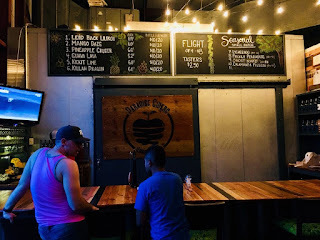 I've enjoyed trying their ciders at Village Bottle Shop & Tasting Room, Maui Brewing Company Waikiki, and other locations, but there's something extra special about going right to where it's made and served by the people that made it. Beer: The Cause of, and Solution to, All of Life's Problems! Words and photos copyright Alexander B Gates and may not be reproduced without permission. Picture Window theme. Powered by Blogger.